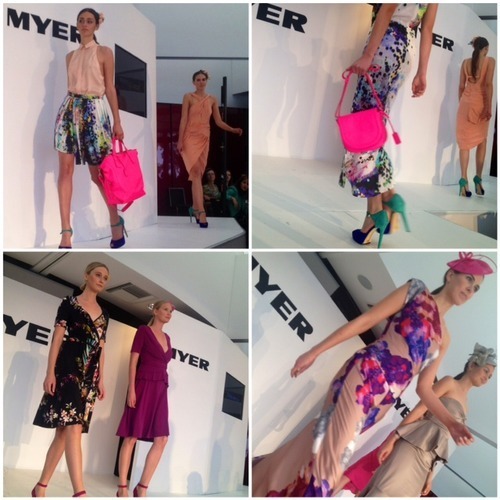 One of the highlights of the Perth Fashion Festival is the Myer Luncheon. A sea of lovely ladies frocked up. 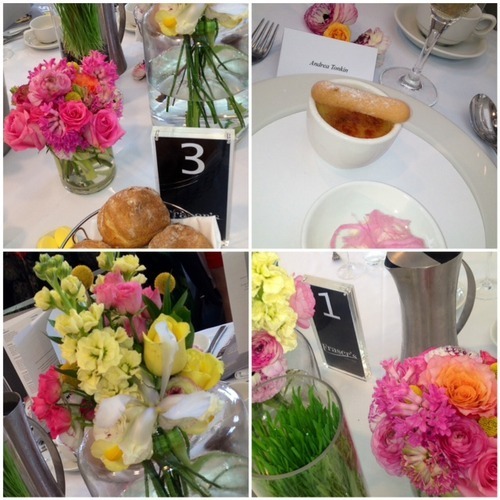 Pretty Spring posies, champagne, chatter, hugs and kisses all come together to create one very special day. 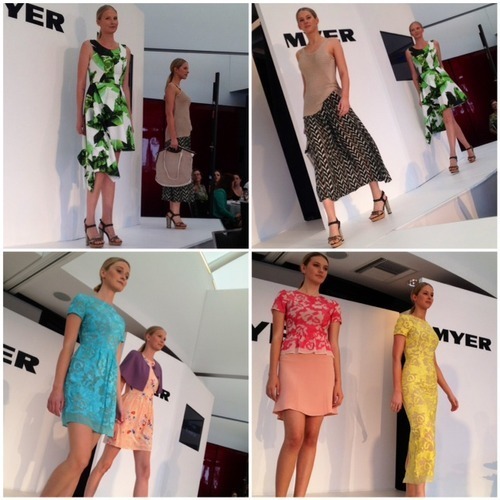 Not to mention, the thrill of seeing the latest fashion Myer has to offer on parade. Oh and a few very special guests to boot!! A fierce storm was brewing outside, so I played it safe, outfit wise and covered up! Took a pit-stop tho, on my way to the taxi. 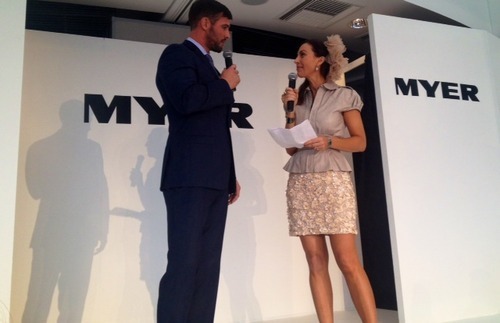 I couldn’t resist a happy snap with the Lady Gaga boys (above) at Myer. 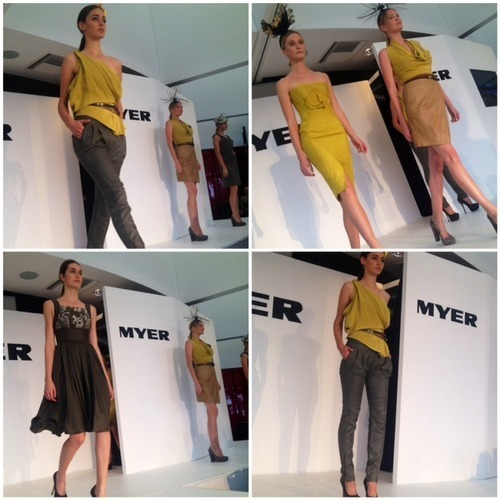 I’m mixing it up with an Ellery/Costarella/ Yeojin Bae combination, from Myer. 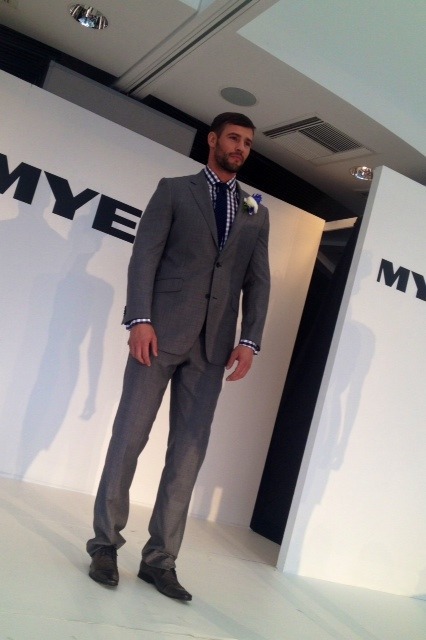 The patterned, silk, all-in-one, (onesie) by WA designer Kym Ellery, is dotted with lilac flowers. Capes have ‘it’ appeal at the moment and as lilac is a big colour on the runways overseas, I decided the Yeojin Bae cape would serve a dual purpose, colour and warmth! 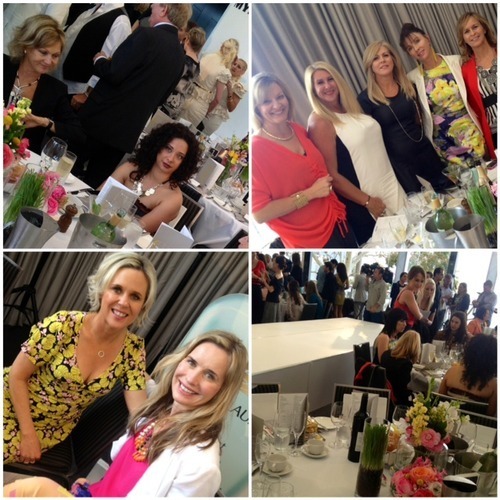 The silk Costarella corsage completed the luncheon look. Sandals by French designer Robert Clergerie and Karen Walker shades. It’s Spring!! Stunning table centres. Ladies, Ladies, Ladies! What a thrill to see so many lovelies, all in one room together! Lesley and Caroline, (Top L) Noelene, Yvonne, Peta, Karen and Tina (Top R). Below Sharon and Nadine. 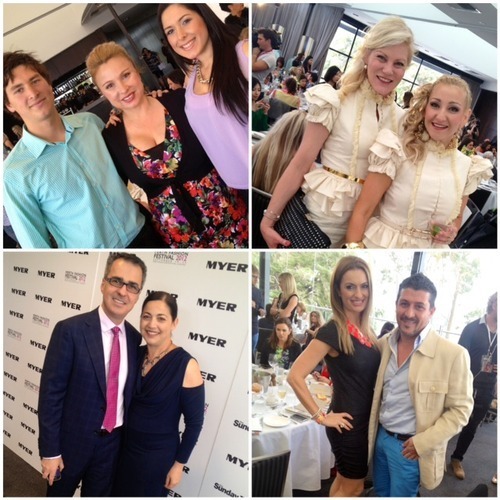 There’s a fashion buzz in the air. Top (L) Lisa Scaffidi, Lord Mayor and Richard Poulson, Morrison. Top (R) Wayne Cooper, Designer. Bottom (L) Di Bauwens with Marie Choo. She’s a Singaporean guest blogger for PFF2012. Checkout, Style Canvas, for her fashion reviews. Bottom (R) Kylie Radford, Morrison. 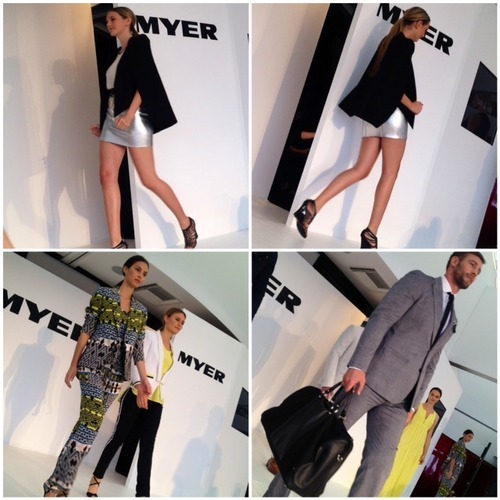 Style stunner, Emma Milner in a Lisa Ho ‘onesie’. Spring colour perfection. Top (L) Eleni Evangel, City of Perth Councillor, with her lovely family. 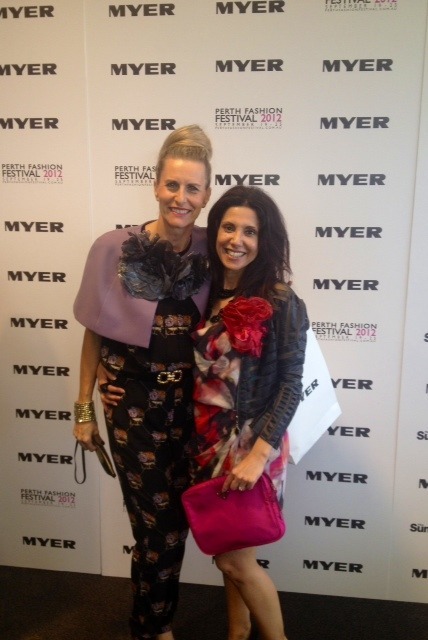 Top (R) Debbie Kelly and Elicia Anders in Costarella and Costarella! Bottom (L) Jim Adamos, City of Perth Councillor and wife Helen. Bottom (R) Bernadette Bosanac and Luis La Pegna. Such fabulous stylistas. A stylish Costarella finale. Bravo! A joyous hug, for a very successful event. 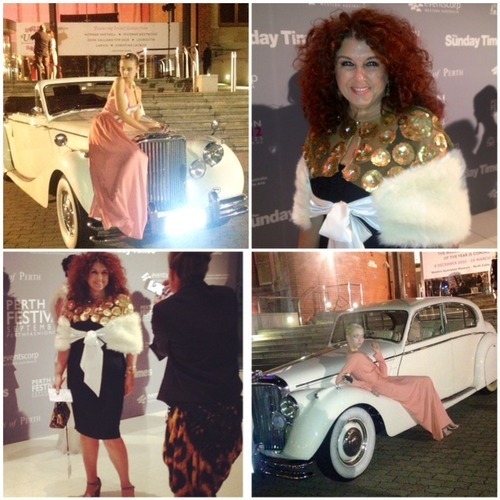 PFF Director, Mariella, dressed in Costarella, styled by AndAndrea!! 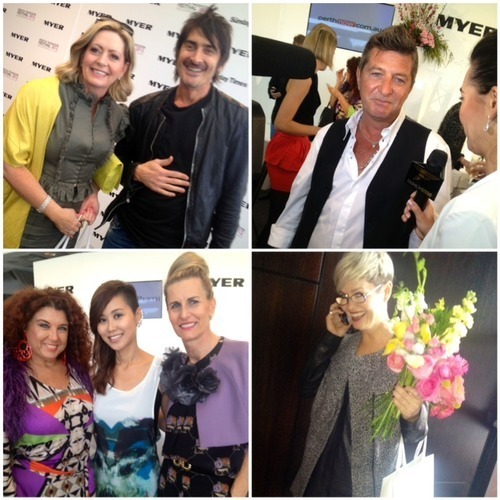 Stay tuned for tomorrow’s update and see who was at the Myer VIP Night! !